Sclerotherapy is considered the “gold-standard” in treating spider veins and small varicose or reticular veins. Asclera® is the FDA-approved solution we use for sclerotherapy treatments. This simple and comfortable in-office treatment takes just minutes to perform, with virtually no downtime. WHAT CAUSES UNWANTED LEG VEINS? Unwanted leg veins can result from heredity, age, gender, weight, history of deep vein thrombosis (blood clots), multiple pregnancies, inactivity and occupations that require prolonged sitting or standing. Varicose veins are found most frequently on the legs. They appear as large blue/dark purple veins which commonly bulge. 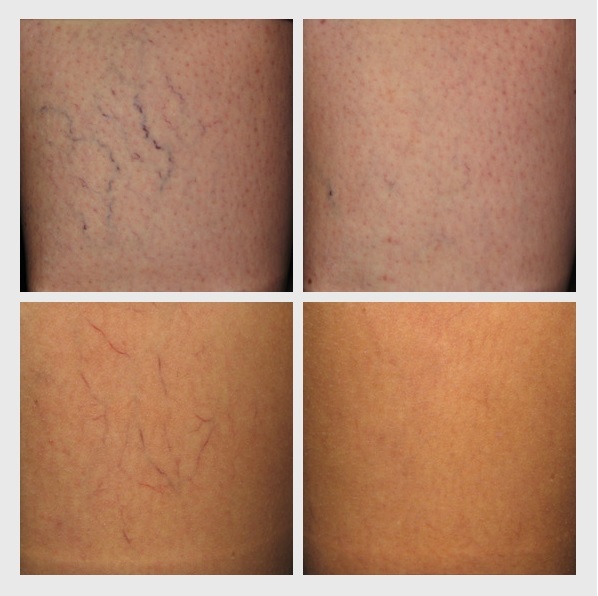 In addition to spider veins and reticular veins, smaller varicose veins may also be treated with Asclera®. Spider veins are very small and very fine red/blue veins. They are closer to the surface of the skin than varicose veins. They can look like a thin red line, tree branches or spider webs. 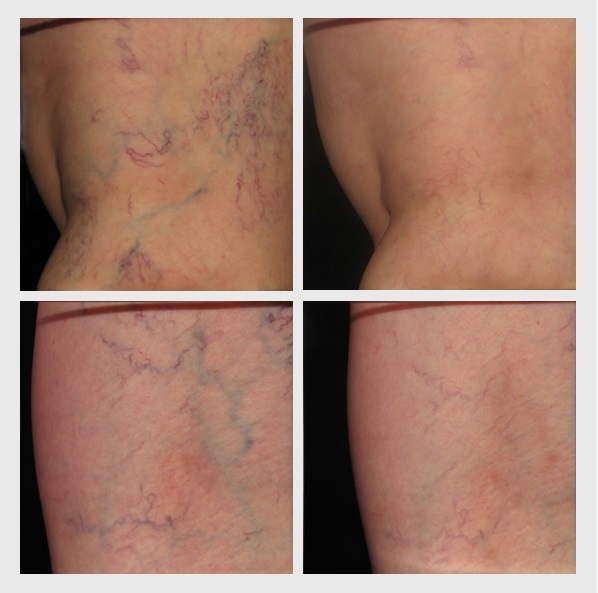 Spider veins can be found on the legs and face and may cover a small or large area. Reticular veins are also known as “feeder” veins. They are the blue and green veins beneath the surface of the skin. Reticular veins enlarge because of increased pressure in the vein. They can be caused by heredity. 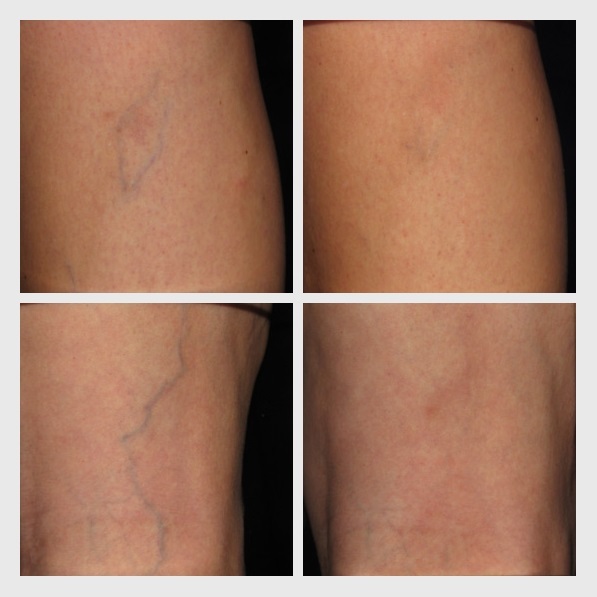 You may have reticular veins alone but you may also have spider veins at the same time. Sclerotherapy is a highly effective cosmetic treatment for vein conditions including spider veins and small and uncomplicated varicose or reticular veins. Once injected, Asclera® causes the lining of blood vessels to swell and block the flow of blood. The vessels then clot and the body slowly disintegrates the treated vein. Pictures taken before and 26 weeks after the last sclerotherapy treatment. Results may vary. It’s best to avoid shaving your legs 24 hours prior to the treatment. Do not apply lotion to the legs on the day of your visit. Wear loose comfortable pants, as most patients typically leave wearing compression hose. Bring a pair of sneakers with you so that you may walk for 15-20 minutes immediately following your treatment. For one week prior to your visit, it is best to avoid aspirin, ibuprofen, non-steroidal anti-inflammatory drugs and vitamin E to minimize the risk of bruising. WHAT IS A SCLEROTHERAPY TREATMENT LIKE? The treatment consists of a series of injections into the desired veins. The treatment takes an average of 30 minutes, depending on the size of the treatment area. Asclera® also has anesthetic qualities, making the treatment very comfortable for most patients. Your veins will become less and less visible as the medication takes effect and healing continues. It is recommended that you avoid strenuous exercise, sun exposure, hot tubs, and plane flights for one week after each treatment. Depending on the extemd of the procedure, we may advise you to wear compression hose for up to two weeks following each treatment. The treated areas typically will have some tenderness, redness and/or bruising and swelling which diminishes over time. HOW SOON CAN I START EXERCISING AFTER SCLEROTHERAPY? We instruct our patients to walk for 15-20 minutes immediately following treatments and daily for at least the first two weeks. This will help to promote optimal results. More vigorous exercise can be resumed typically within seven days. 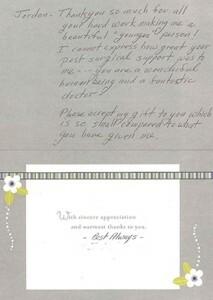 Most patients typically notice a remarkable improvement after just one treatment. However, for optimal results it is typically necessary to schedule multiple treatments for larger areas, spaced about one month apart. Full results can be seen in several days to weeks following each treatment session, so they should ideally be planned about three months before the desired outcome is to be expected. Many patients start their treatments in the fall or winter months to have great looking legs by the warmer months. WHERE CAN I PURCHASE COMPRESSION STOCKINGS? At The Breslow Center we offer Sigvaris compression hose, the highest quality compression hose, for use after sclerotherapy. A member of our team will do a custom fitting for you. The cost varies based on the size of the area being treated. The number of treatments and fees will be determined during your consultation. If you would like more information about treating your unwanted leg veins with sclerotherapy, call our Paramus, New Jersey office at 201-444-9522 today! Receive information on upcoming events and promotions! 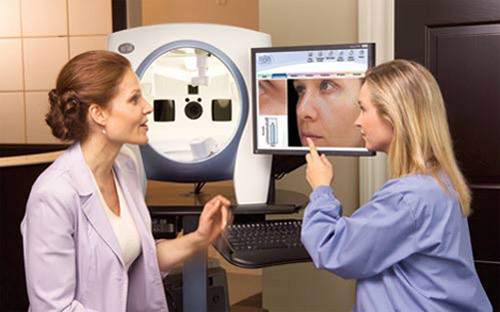 Come in for a complimentary computerized skin analysis using our “VISIA” imaging system.